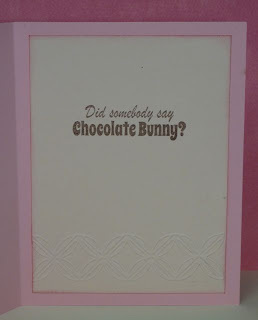 The Purple Muse: Did Someone Say Chocolate Bunny? Did Someone Say Chocolate Bunny? I love this little chocolate bunny! I think it came from Stampin' Up as a single. I'm so glad I decided to use it for these challenges. It pairs so perfectly with the sentiment from Scrappy Moms Critter Crazy set. 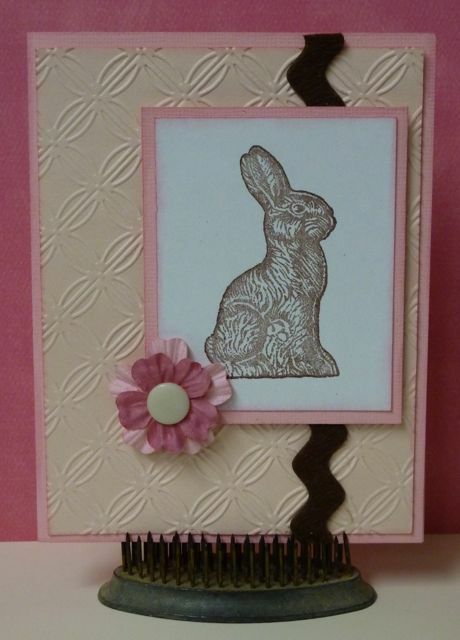 I used a pink cardstock from my stash so I'm unsure of the maker. 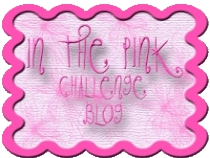 The lighter embossed pink is from Stampin' Up. I embossed it with the Cuttlbug Geometric Rings folder. I adhered a felt ric-rac ribbon to the embossed layer before adding the bunny layer with foam adhesive. I added some Prima flowers and a vintage button that I cut the shank off of. The inside layer was embossed with the coordinating Geometric Rings embossing strip and stamped with that cute SM sentiment. Aww, what a sweet card. 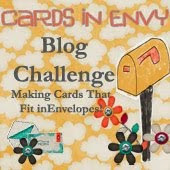 Thanks for joining the DCD challenge this week. Beautiful, love the image and the embossing. This is a very sweet card, Tammy. Pink and brown go so well together. Thanks for joining us at Just Add Ink this week! Tammy this is adorable! I love that sweet bunny (literally) and your color combo. 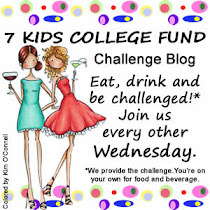 Thank you so much for joining in on our challenge this week over at Raise The Bar!